[01:03] – Why did Bill start Blue Star Recyclers, and what has the journey been like so far? [03:39] – Bill talks more about learning the recycling industry, which he was completely unfamiliar with before he started researching it to create his company. [05:12] – Tom points out the importance of being honest about the things you don’t know, which is similar to what Bill has been talking about. [05:52] – How did Bill find people who helped fill his knowledge gaps, and build his team? In his answer, Bill reveals how much of an impact his quest to find a truck had on the business. [07:40] – We hear about a couple of the people who Bill has hired so far. [09:36] – The motive for both Blue Star Recyclers and Rising Tide Car Wash was to do good and put people to work, not to make heaps of money, Bill points out. [11:22] – Bill talks more about the mentors who helped him figure out how to build the business from a technical perspective. [13:21] – We learn about the process of going from for-profit to non-profit, and what Bill’s plan is for the future of the organization. 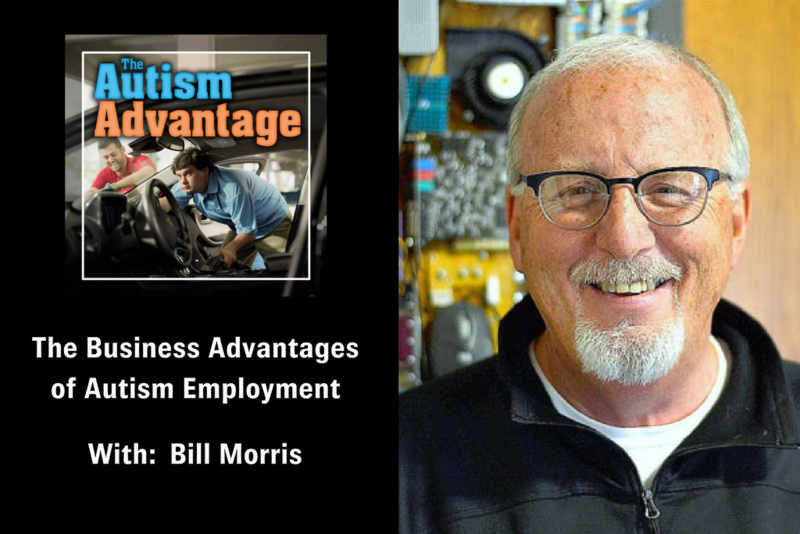 [16:11] – Tom draws out some of the statistics and business advantages that Bill had mentioned related to employing individuals with disabilities. Bill then talks about how he takes advantage of those benefits, as well as how remarkable the impact of the work has been for several of his employees. [19:45] – Bill has learned that people on the spectrum are inherently safe employees because they don’t deviate from the procedure that you give them. [20:22] – Bill thinks that he and Tom may end up saving their respective industries, and explains why. [21:53] – Other employers who employ the entry-level workforce have problems that Bill doesn’t experience at all with his employees. [24:35] – Tom points out that you need to be able to take the long view if you’re planning to stay in business for a long time. [25:20] – What advice would Tom give to people who are looking to start social enterprises and hire individuals with autism? [27:47] – Tom lists some ways for listeners to find his company and help them out.